C&H... It never ceases to make me squee. 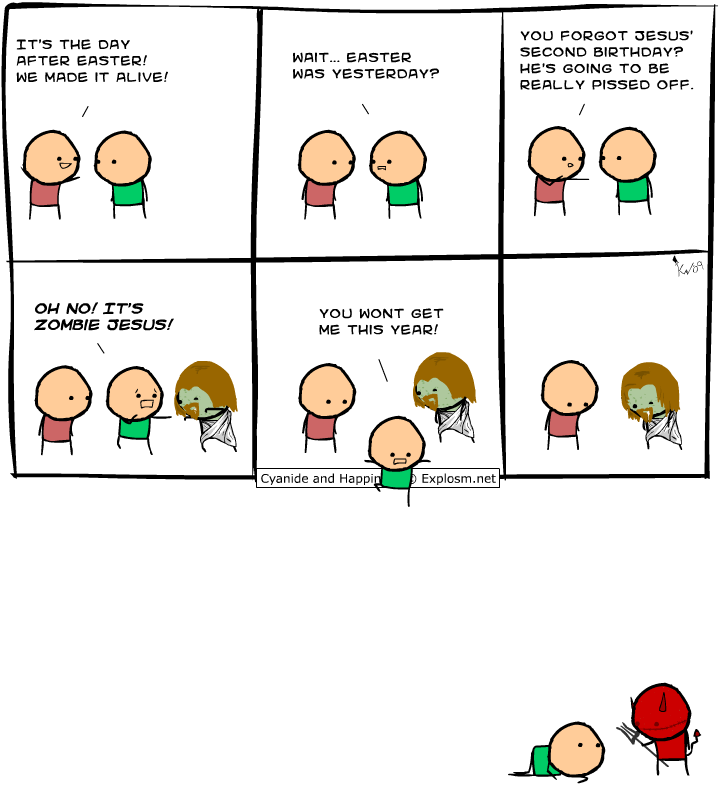 And I love the whole Zombie Jesus thing... which is why I tell people they can't make fun of me for fearing zombies. Since people believe Jesus rose from being deadified, then I have the right to keep a zombie bashing bat by my bed and not be laughed at. Crittle: Some C&H comics are just plain wrong. I think my favorites are the ones with random useless super heroes. 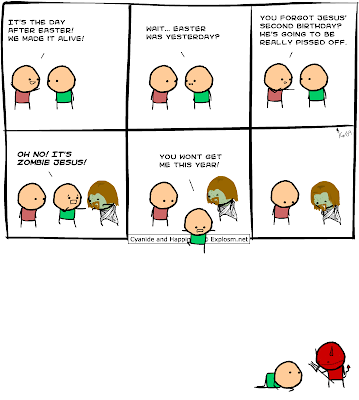 And, you know, if you think about it long enough I guess Jesus *technically* is a zombie, in a roundabout kinda way. Scary. Richard: Exactly! My writer's block will go away eventually... I hope.